Do you need help creating or managing a financial plan* for your future? Have you carefully reviewed your income and expenses? Are you effectively managing your retirement income? Do you need other sources of retirement income? Are your investments* working for you? Are you financially prepared for the unexpected? Do you have adequate protection to avoid devastating family circumstances? Have you evaluated the need for long-term and/or other insurance options? Do you have an estate planning team? Have you planned who will manage your finances if you become incapacitated? How will you transfer your wealth to future generations? Can you preserve your wealth from taxes and other costs? Do you fear outliving your investment income or savings? 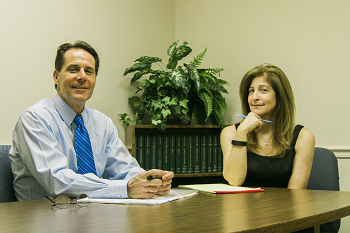 At Cohler Financial Associates, I start with a thorough analysis of your individual needs. The goal – to understand your current financial position; recommend solutions based on my professional expertise that is suitable for your goals and requirements. Knowing that objectives evolve over time or unexpected events can impact financial needs, Cohler Financial Associates provide on-going consultation with dedicated attention to detail and a personal commitment for long-term relationships. As a registered principal with "United Planners Financial Services" my services are fee-based vs. commission, reinforcing my promissory commitment to help clients toward their financial goals. In creating the most optimum and full-service client environment, Cohler Financial Associates has aligned with and work alongside a close group of trusted non- affiliated professionals in the fields of Accounting, Estates and Trusts.Whether it is a question about financial strategy, tax implications or importance of will preparation, our "in-house"1 team makes for a convenient, service-oriented environment for any personal or business financial needs. We Listen, We Recommend, Most Importantly, we care. Do you find that working with your broker can seem one-sided? Are they more concerned with selling financial products whether or not they are “right” for you? At Cohler Financial Associates, clients are assured much more than “product”. We are a partner, an advisor and a friend. We prefer a close personal relationship, dedicating efforts to individualized evaluation and consultation. Our customized, comprehensive approach brings together the traditional areas of investments*, insurance and estate planning. Plus, we are networked with a group of trusted non-affiliated professionals in the fields of accounting, tax services and estate law. With a true commitment to building long-lasting client relationships, Cohler Financial Associates places great emphasis on providing the superior personalized service that clients should expect. You have my promise. ** Appelbaum Professional Services, William Eiding CPA and Abby N. Cohler Esquire are not affiliated with Cohler Financial Advisors.